Thursday was a gloriously sunny day and I was back at Charlotte Square for another couple of events at the book festival. First of all I saw Chris Cleave and Natasha Walter and then I went to see Simon Callow. Chris Cleave and Natasha Walter have both written novels loosely inspired by real people and set during or just after WW2. 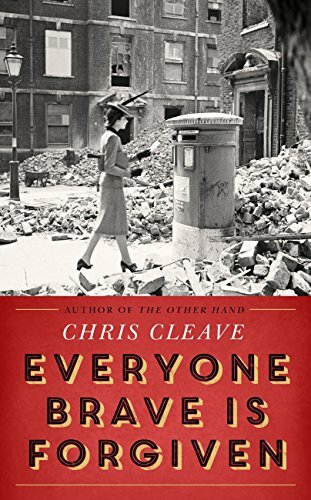 Chris Cleave’s novel is Everyone Brave is Forgiven and follows the war as experienced by Mary, Alastair and Tom. I read this earlier this year and thought it was wonderful. You can read my review by clicking here Everyone Brave. Natasha Walter’s book focusses on Laura Leverett who is living a seemingly quiet life in Geneva in 1951. However, during the war she was inspired by Communism and along with her husband has been living a double life. One thing I love about going to hear authors read from their work is that you get a real sense of their voice. I don’t just mean their audible voice but that you get a sense of exactly how they meant their story and character to sound. It adds another dimension to the story to me as I hear how an author perceives their work. Chris Cleave has a lovely gentle voice and as he read the part of the story after Tom and Mary have spent their first night together, it really brought to life their hopes, excitement and worries about their new relationship. Natasha Walter said this was the first time she had read from her novel in public and that she was feeling rather nervous. This didn’t come across at all in the calm and very intriguing extract she read. Chris Cleave’s book was inspired by his grandparents’ experience and love story during the war. His grandfather had been tasked with looking after Winston Churchill’s son Randolph in Malta and given the ambiguous order ‘whatever happens, make sure nothing happens’. This is the story which Chris Cleave had been researching with a view to creating a stage play about the relationship between the two men, but it changed instead into this novel. He said he is fascinated by dialogue and listens to people a lot. In fact, if you are ever sitting next to him on a bus and he has headphones on, beware: they are probably not switched on and he is eavesdropping! 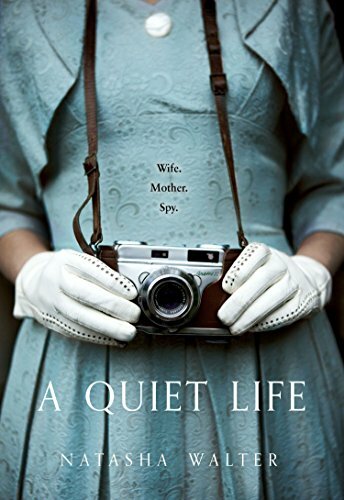 Natasha Walter’s book, A Quiet Life, came about through her own fascination with the Cambridge spies. This is her first fiction book with her previous work being as a newspaper journalist and tv broadcaster and it is up for the First Book Award at the book festival this year. She became very interested in the real life story of Donald MacLean’s wife Melinda. He defected to Russia when his wife was expecting their 3rd child. No-one seemed to have suspected her of knowing anything about his life as a spy and she wasn’t even interviewed when he defected. For two years afterwards, she lived a quiet life looking after her family and then she too defected and disappeared. Natasha Walter had intended to write a non-fiction book about her but she had kept her secrets too well and there is very little evidence to find. So she dramatised her story in this book taking, as she put it, total liberties with Melinda’s life. The authors were asked how long it had taken them to write their novels. Chris Cleave said he typically spends about a couple of years researching, usually for a novel which he doesn’t end up writing! He then spends another couple of years writing with no clear idea of how the novel will progress, saying he’d bore himself if he knew in advance exactly how it would end. He starts with a question – in this case, what is bravery? Natasha Walter said as this was her first novel it was hard to say if if would be a pattern but that it had taken her an absurdly long time to write. From an article she first wrote about Melinda, it has taken 13 years for the novel to be written. Obviously she was doing other things in between but the story wouldn’t go away. She wrote the opening scene then the last line but said that the arc of the novel in between did change as she wrote. Both authors were a delight to listen to. As I said above, I can highly recommend Chris Cleave’s book and from listening to Natasha Walter, hers sounds fascinating too and I hope to read it sometime soon. 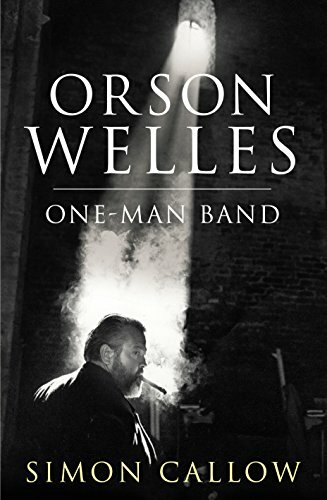 I then went to see Simon Callow who was talking about the third volume in his epic sounding biography of Orson Welles, One Man Band. I must admit that I haven’t read any and just wanted to see Simon Callow because I think he is such a fantastic actor. As you would expect, he was highly entertaining to listen to. He was so passionate about the subject of his work and is an excellent speaker. Although this session was, in theory, chaired by Al Senter, Simon Callow spoke for about 45 minutes about Orson Welles and the period of his life covered by the book and he had his audience in the palm of his hand! I don’t really know much about Orson Welles so found it really interesting to hear about how things did not go well for him after the success of Citizen Kane and how much of it seemed to be of his own doing. As Simon Callow put it ‘the luck ran out’, but it seems that Welles made quite a lot of poor decisions which did not help. Having heard Simon Callow speak so enthusiastically about Orson Welles, I’d be inspired to find out more about him. But with three volumes of biography to catch up on, it might take a while! I finished the day with a lovely evening at Blackwell’s Bookshop on South Bridge, listening to five more authors reading from their work. The five authors were Jane Lambert, Toni Jenkins, Angela Jackson, Rob Ewing and Lucy Ribchester. This wasn’t a Book Festival event, it was part of the Fringe Festival, but it was a very enjoyable end to a very book focussed day. On Monday, I am seeing Prue Leith, James Naughtie, Mary Paulson-Ellis with Nicholas Searle and Jessie Burton with Susan Fletcher so watch out next week to hear how I get on. This sounds wonderful and I know exactly what you mean about hearing the voice when authors read their own writing. Although when I met up with some authors yesterday and we were talking about reading their work aloud, some were saying how that only works if they set their work where they come from!